This is the final installment in a series of stories examining the projected impact of climate change on local watersheds within the Nevada Irrigation District, which hired freelance journalist Trina Kleist to examine the issue. Today, the series looks at what actions NID has taken to prepare for a warmer climate. 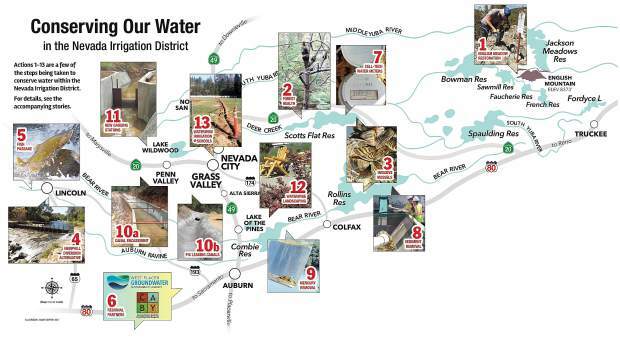 Restoring a mountain meadow, keeping local forests healthy, battling invasive species and restoring fish habitat are some of the projects Nevada Irrigation District is leading in its watershed-based approach to a reliable water supply. A watershed is “the area of land where all of the water that falls in it… (flows) to a common outlet,” according to the United States Geological Survey. When snow and rain fall on a healthy watershed, that natural system will reliably provide clean water. But as rising temperatures heap stress on local watersheds, their natural systems – already pressured and altered by human activity – start to fail. NID created King’s position in 2015 as part of NID’s growing focus on watershed health. Since she came on board, King has landed several grants for projects supporting watershed health. That’s on top of its own money NID is spending to improve local and regional watershed health. Summer 2017 marked the second field season to better understand how the meadow works, and the project still is unfolding. Eventually, this research will be used improve English Meadow’s ability to store groundwater for release later in the summer. When small trees are thinned from crowded forests, remaining trees compete less for water, sunlight and soil nutrients. When snow falls, more of it hits the ground, where it lasts longer, then slowly percolates into the soil. Fire, when it does come, burns less hot and less destructively. In 2016, NID received a $278,000 grant from the Sierra Nevada Conservancy to thin 82 acres of NID land at Scotts Flat Reservoir. Work to remove small, sick and beetle-infested trees started in December 2016 and is expected to conclude in summer 2018, King said. As part of the project, NID employed crews from the California Conservation Corps. “A local forester and licensed timber operator have guided the crews’ thinning and treatment methods and provided the technical support needed to complete a project of this scale,” King added. This work also reduces the chances of a catastrophic fire in the forest. That, in turn, reduces erosion and sediment flowing into the reservoir, preserving capacity for water storage. As the trend toward warmer temperatures in the Sierra Nevada continues, non-native zebra and quagga mussels threaten to invade local waterways, carried by infected watercraft. These mussels would disrupt local fishing and lake ecosystems. They can attach to channels that deliver NID water, grow on hydroelectric equipment at local dams, and interfere with recreational facilities. NID is working with the California Department of Fish and Wildlife and the Division of Boating and Waterways to better inform boaters about the risks and exposure routes of these fast-breeding shellfish. 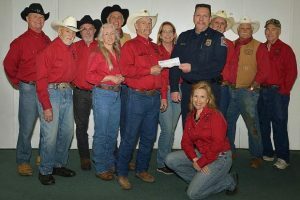 This year, NID and partner agencies stepped up boat inspections at Scotts Flat, Rollins and Combie reservoirs, King said. They’re looking for the mussels visually, checking for their presence by measuring plankton and water chemistry, and creating a regional prevention and monitoring plan. As air temperatures warm across the Sierra Nevada, water habitats grow more fragile. The health of Sierra streams contributes to the health of migrating salmon and trout statewide. They form part of California’s $23.4 billion commercial and recreational fishing industry, according to a recent report by the National Oceanic and Atmospheric Administration. An NID project will expand the spawning grounds for these fish. Just southwest of Lincoln, at the lower reaches of NID’s service area in Placer County, the Hemphill Canal provides water for agricultural and domestic customers. A 3-foot-high dam placed into Auburn Ravine creek each spring diverts water into the canal through mid-October. It also partially blocks Chinook salmon and steelhead trout from migrating a few more miles upstream, according to NID documents. NID has been looking at ways it can get water into Hemphill Canal without reducing fish passage in the creek. In December 2016, NID landed a $177,000 California Department of Fish and Wildlife grant to better understand water flows, fish populations, the sediment held behind the barrier and how it might be used, the presence of mercury, and alternatives for getting creek water into the canal. Studies continued in summer 2017, and an alternative to the barrier is expected to be installed by 2020, NID Engineering Manager Dr. Gary King reported. So far, NID has spent $228,000 of its own funds on the project, according to district documents. Project partners also include Friends of Auburn Ravine, the Auburn Ravine Preservation Committee, Placer County, the city of Lincoln, the state Department of Water Resources, the U.S. Fish and Wildlife Service and the National Marine Fisheries Service. 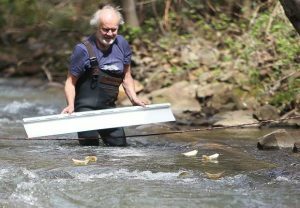 Six miles downstream of the Hemphill project, Auburn Ravine’s creek bed had eroded below an NID gauging station, and fish couldn’t jump past the 6-foot barrier. In 2011, NID restored a 200-foot section of the creek, including step-pools for migrating fish and 125 newly planted trees, according to NID documents. The fish ladder was recognized as one of the top environmental programs in the state by the Association of California Water Agencies, NID reported. NID paid for about $781,000 of the project’s total cost of $1.8 million, the district reported. Partners in that project included Granite Bay Flycasters, the Dry Creek Conservancy and Placer County with a CALFED grant. In May 2017, NID joined the West Placer Groundwater Sustainability Agency, a new, state-mandated regional effort to manage groundwater more effectively. New state rules require the agency to create a sustainability plan by 2022 for groundwater in western Placer County, where NID serves customers. Membership “is consistent with NID’s ongoing commitment to providing a reliable and resilient quality water supply, and continuing to be good stewards of the watersheds,” according to NID documents. Since at least 2005, NID has worked on regional water resource and environmental issues – including preparations for climate change – with groups in nearby foothills watersheds. That includes local governments, Native American tribes, environmental groups and watershed watchdogs. In addition, NID is a founding member of the Cosumnes, American, Bear, Yuba Integrated Regional Water Management organization, called CABY. It “has brought millions of dollars into the regional watersheds for water quality and quantity improvements,” wrote NID Director Nancy Weber, representing the Nevada City area. Partners work toward common goals to become climate-ready, improve water management, secure forest and fisheries health, address natural resource needs in disadvantaged communities, and be responsible stewards of headwaters in the four watersheds. Projects include better leak detection, expanding storage in existing reservoirs and closer monitoring of water flows. Aurora Tipton, NID’s customer service administrator, now has a faster way to alert some customers when they have a leak – and save water in the process. New meters recently installed for 1,450 treated water customers have cellular telephone technology built in. Daily, the meters send information on water usage to NID. A computer program alerts Tipton when it detects a spike in a customer’s consumption. Many of the upgraded meters are in Cascade Shores, but eventually, NID will convert all of its 19,000 treated water meters, as budgets allow, Tipton said. Sediment washing from creeks and rivers into NID reservoirs robs them of space for storing water – about 17 percent in Rollins Reservoir alone, according to NID documents. NID can restore capacity in reservoirs by dredging. Sediment removal could start as soon as this year, NID Assistant General Manager Greg Jones said. But that sediment may contain mercury, used to extract gold from rock and silt during the Gold Rush. So, state rules for safe drinking water and environmental health bar NID from simply mucking out the reservoirs without study and permits. Sediment removal in the Greenhorn Creek arm of Rollins Reservoir stopped in 2013 when endangered yellow-legged frogs were discovered along the route used by sludge-bearing trucks. Work is expected to resume there after an environmental impact report is completed, according to NID documents. In addition, sediment will be removed in Steep Hollow at its confluence with the Bear River, after NID receives permits from federal, state and local agencies. In both branches of the reservoir, the process involves scooping up sediment from where it has collected along the banks and hauling it away. Sediment will be tested for mercury, according to NID documents. Short mesh fencing will be erected alongside the haul roads to prevent yellow-legged frogs from hopping into the project site, among other measures taken to protect them, Jones added. NID contracted with Chevreaux Aggregates Inc. to remove sediment at Combie Reservoir until 2003, when the sediment there was found to contain mercury. In response, NID developed an innovative centrifuge process for removing mercury from silt and gravel that it pilot-tested at Combie over eight years, according to an NID staff report. In June 2017, the process earned $6.1 million in funding from the state Department of Water Resources. The Sierra Fund, based in Nevada City, lobbied for the state funding. Over the years, the Fund has supported the Combie project by organizing community outreach and contributing scientific expertise, according to the Fund’s website. That state money will support more testing, this time on a bigger scale. NID plans to remove about 150,000 to 200,000 tons of sediment from Combie over the next three years, NID documents report. NID plans to sell the clean gravel and sand to regional buyers; mercury will be disposed of safely; and access to beaches and fishing areas will be restored to the northeastern end of the lake, documents report. Meanwhile, scientists with the Sierra Fund and the U.S. Geological Survey will study whether mercury levels in the water ecosystem decline as a result. First steps started in fall 2017, Jones said. The whole region would benefit: Practices developed at Combie demonstrate “emerging technology that may be suitable for deployment in other mercury-impaired reservoirs across the state,” the Sierra Fund reported. Already, 132 contaminated reservoirs have been identified, according to the Fund. Officials from other parts of California and abroad already have shown interest in the technology, said NID Watershed Resources Planner Neysa King. NID also is working with the Central Valley Regional Water Quality Control Board, state Department of Fish and Wildlife, and the U.S. Army Corps of Engineers on the project. NID’s water delivery system drops 5,000 feet in elevation across 100 miles as the crow flies. On the ground, water flows through a network of 475 miles of canals and pipelines for untreated water, and about 395 miles of treated water pipeline, Maintenance Manager Brian Powell said. Across that distance, trees crash over the canals, rodents burrow into the berms, landslides undermine canal supports, sediment clogs pipes and brush grows everywhere. Each year, NID spends $4 million to $5 million to repair leaks and keep the water flowing. “It’s a constant battle,” Powell added. Canal and pipeline repairs also save water. An example of routine repair is the Tarr Canal, pictured in the graphic. There, NID crews applied Shotcrete – an air-blown mortar – along a section of the canal to seal it. Some sections have problems that are best solved by being enclosed in pipe. An example is the Newtown Canal: A 1,900-foot section was re-routed through a 36-inch-diameter pipe buried under Newtown Road, 3 miles west of Nevada City. Water started flowing in February 2017. The project has cost NID nearly $1.9 million so far. To complete the project, including backfilling and grading the abandoned section of canal, NID expects to spend another $100,000, according to NID’s Engineering Department. Six new gauging stations were added to the 200-plus that already monitor NID’s system of canals, Water Resources Superintendent Sue Sindt said. The new gauges were installed in 2016 – two at the heads of canals and four at the ends, at various locations in the system. They allow finer control of the volume of water placed in the canals to satisfy customer demand, while minimizing the amount of water flowing out of the NID system, Sindt explained. The six gauging stations were part of $1.9 million in conservation-related projects at NID, including 2 miles of canal repair, which qualified for a state reimbursement grant. 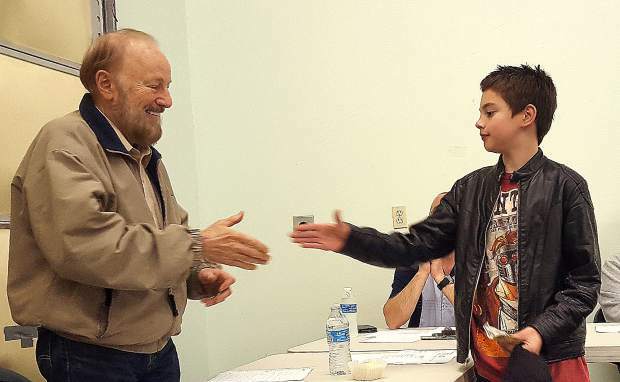 NID received nearly $1 million for the projects under California’s Prop. 84, Sindt said. As rising temperatures shift snow to rain in the high mountains, wintertime snowpack grows increasingly unreliable as a way to store water: Scientific research predicts Sierra Nevada snowpack will shrink by half in 30 years. Within the NID watershed, that snowpack has historically held about 125,000 acre-feet of water each winter – enough to supply customers for a year. To make up for the loss of that free, wintertime storage, NID is exploring options to increase surface storage of water. In 1986, NID studied building a labyrinth weir – a zig-zag structure across the existing spillway – at Rollins Reservoir. It would raise the water level, adding 3,000 to 5,000 acre-feet of storage capacity to Rollins’ existing 66,000 acre-feet. The proposed Centennial Reservoir on the Bear River, between Rollins and Combie reservoirs, would store 110,000 acre-feet of water – more than enough to meet critical customer needs and preserve public health for a year. Centennial would store rainwater from middle elevations that NID’s present system does not collect. NID identified the site for a reservoir in a 1924 district plan, according to a 1926 letter from NID’s then-Chief Engineer Fred Tibbetts. The idea for Centennial was re-introduced in 2013. Centennial’s environmental impacts are being studied now, and a draft report is expected later this year. Even after local drought conditions ended in 2016, people in western Nevada County continued many of their water-saving practices. In 2017, use among NID’s treated water customers was 14 percent below consumption in 2013, the benchmark year used by California water monitors. “Customers really have taken to heart that conservation is a way of life,” said NID Operations Manager Chip Close. More homeowners have switched their landscaping to water-frugal plants since the start of the recent drought. Plus, new technology in irrigation allows water to be applied more efficiently, said Adam Weiss of Weiss Landscaping Inc., in Nevada City. NID’s demonstration garden, in front of its office on West Main Street, offers ideas. NID staff met with administrators at Nevada Union and Bear River high schools in 2014 to help them reduce their water usage. NID also donated sprinkler heads and computerized timers; as a result, both schools reduced their water usage dramatically, Close said. • NID sponsors the “Mulch Magic” program, giving away vouchers for about 330 cubic yards of water-saving mulch in the past two years. • NID lets customers know when other agencies offer rebates for water-efficient appliances and plumbing fixtures. • During the recent drought, a water-waste hotline produced nearly 200 reports, and all were followed up. 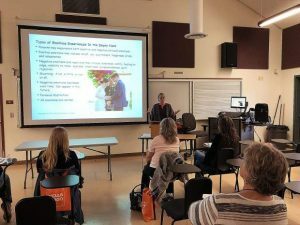 • For three years, NID teamed up with the South Yuba River Citizens League, or SYRCL, to present school assemblies teaching children the importance of water conservation. Trina Kleist is a Grass Valley freelance writer whose clients include Nevada Irrigation District. She may be contacted at tkleistwrites@gmail.com or (530) 575-6132.